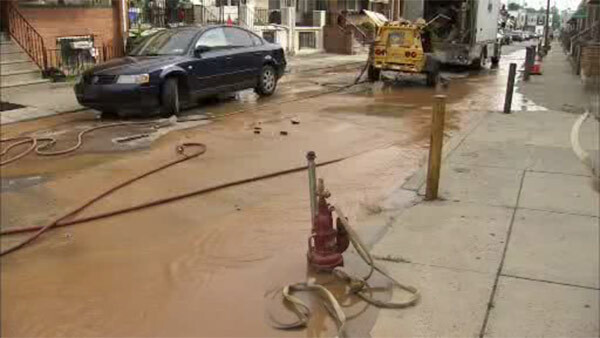 SOUTHWEST PHILADELPHIA (WPVI) -- Dozens of customers were left without service after a water main break in Southwest Philadelphia. The 6-inch main broke shortly before 3:00 p.m. Friday in the area of South 61st and Wheeler streets. PGW crews quickly arrived on the scene and shut down the main. About 65 customers were left without service as crews worked to make repairs. Service is expected to be restored by later Friday night. No word what caused the break.